My name is Sophia Charming (not really), and I am a shop-o-holic. Usually, I am able to keep things under control, but in the past three days I have made over fifteen trips to various Target stores scouring the aisles for Liberty of London merchandise. Any Target shopper worth her salt knows that Target almost always starts putting merchandise out on the floor before the release date. Liberty has been no exception. In fact, I saw Liberty in Target as early as Tuesday. It has been 34 minutes since I last set foot in Target. I have purchased: five neckties, three mens shirts, a jumper dress, two bathing suit cover-ups, six storage boxes, two lampshades, a picture frame, umbrella and two pairs of gardening gloves. I desperately want to purchase a a quilt and marching pillows, but my husband has temporarily put a hold on all further Target purchases. 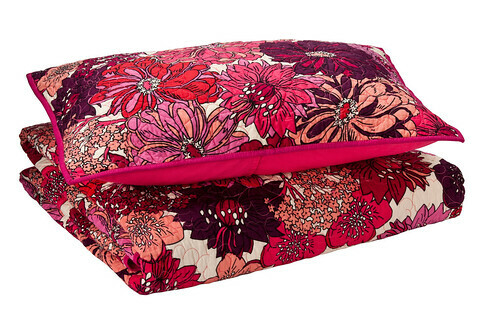 Target has not even officially released the Liberty collection yet and I already own a significant number of items, and will certainly purchase more (teapot, teacups, tea tray, PJs, wallet?, large handbag, flip-flops, gardening tools, large canisters?). My saving grace, bizarrely, has been the fact that most of the womens clothing is polyester, which I detest. I may be further saved by the percentage of melamine kitchen items (because I just have to draw the line somewhere). 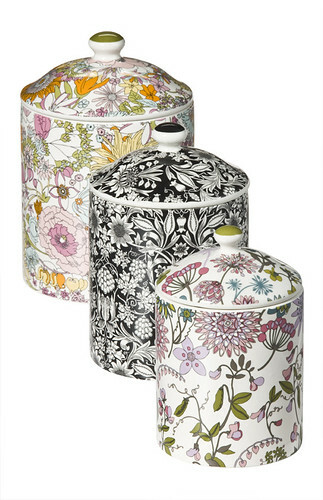 At this rate my entire home and person will be covered in Liberty print, I am in serious need of an intervention. I'd also like to note for those of you thinking of buying stuff online that the watering cans are a little disappointing, the print is oddly warped at points of attachment (e.g. handle, top). Also, the black planter is not a true black, it is more of a brownish gray. 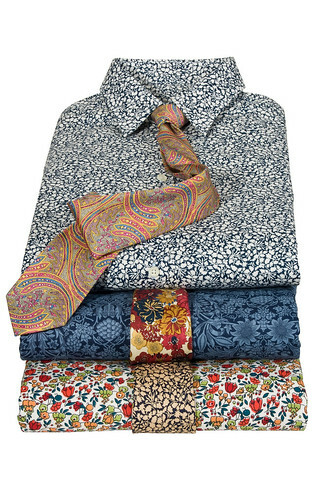 In terms of clothing the mens items are far and away the best deal of what I have seen so far: silk ties with contrasting lining and 100% cotton shirts with collar stays! I got a zip car and headed over to my Target and ended up bringing home a nightie, undies, scarf, and Garla-print quilt (the pink one above). I actually need it in a F/Q, but got it in a King because that's all they had and I don't want to miss it. I'll return if they get the smaller size. Nothing else was there though! Boo! No canisters, mens anything, bowls, or candles - all of which I REALLY wanted. Guess I'll be staying up late Saturday to shop online!!! The Garla quilt is totally what I wanted. I typically by a size larger quilt than my bed anyway because I like to have a nice overhang. You may end up liking it better.